I’ve got issues…nail issues. I’ve always had tiny fingernails. It’s a cursed gene I inherited from my father that makes getting a manicure a slightly embarrassing experience. “You bite?” the nail ladies always say. No, I do not bite. But I do have a pretty bad habit of picking at them. I’ve tried everything to break the habit, and the only thing that works is shelling out for pretty—and more importantly, iron-clad—polish that I can't bear to ruin. I've gone from getting a manicure once a week to transitioning to gel polish. Then I heard about dip powder manicures, which are said to last longer than a gel manicure while also being healthier for your nails. After trying it out, I just might be hooked on this trendy technique. 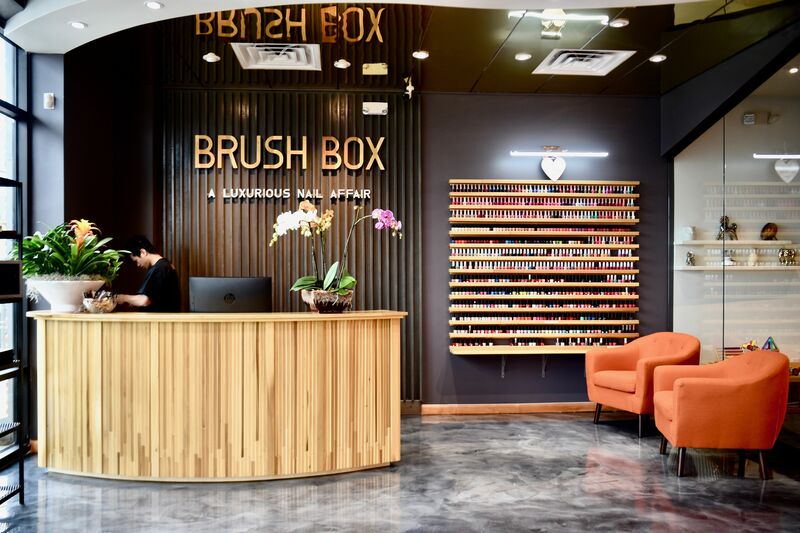 I made an appointment to try it out at First Boutique Nails in Memorial. I picked out a color (navy) from the ring of pretend nails (again, just like I would with gel). My manicurist used a Signature Nail Systems (SNS) nail dipping kit, which claims to supply vitamins A, E, D3, B5 and calcium to your nails. After applying a standard liquid base coat and a coat of gel base, she dipped my nails one by one into a little container of powder three times. The dipping part was pretty fun, but it didn't dawn on me until afterwards that everyone sticking their nails into the same powder could be unsanitary. The powder was all over the skin around and below my nails, and I was afraid it would stain my skin. But luckily the powder comes off with a few quick dusts of a brush and some special remover. The bigger drawback was that the sample color doesn't give a great indication of what the polish actually looks like on. I thought I was getting a deep navy blue, but it came out slightly lighter and more violet than I intended. 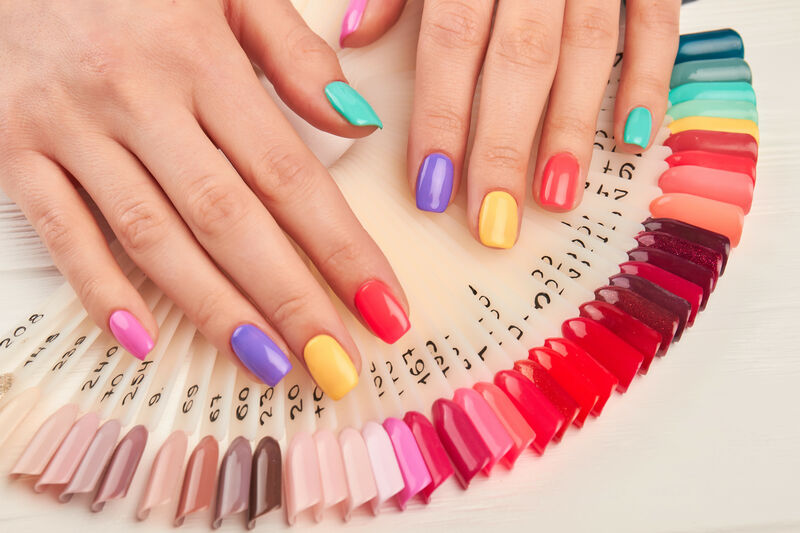 The manicure also takes a little longer than standard or even gel manis—about 40 minutes in total—but another pro for me is that unlike gel manicures, dip nails don’t require a UV light to set, and it only takes about two minutes for them to dry. Five days in, my nails are still pristine and they really do feel stronger—and they should, since the powder layers are much thicker than gel or polish. 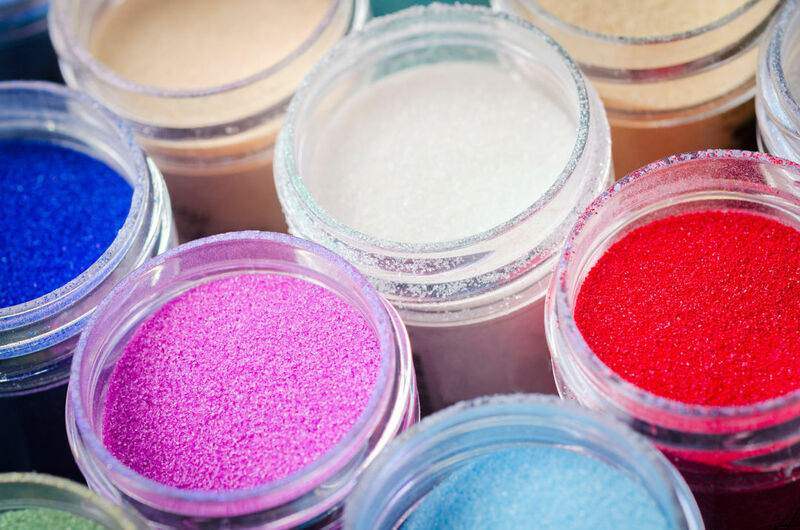 It's virtually indestructible, which makes sense when you consider that the powders are a form of acrylic. This means there’s no chance I’ll be able to pick the polish off, a challenge I’ve managed to overcome even with gel. Like other long-lasting mani options, removal basically requires another trip to the salon. All in all, I’d say the dip powder process was a success. The polish feels thicker than gel, but still super lightweight. I'm definitely going back to double dip.